The fortunes of Volvo Cars over its 90-year history are closely tied to the fortunes of the world economy; as the winds of global markets shift, so too does the ownership of the firm it would seem. In almost a century of operation, it has been in the hands of European, then American, and now Chinese owners. Over the same time, Europe was eclipsed by the US as the centre of the business world and economic might, while today China appears to be posing the same challenge to both the New and Old Worlds. Yet throughout all this change, Volvo Cars has stuck true to its original mission to provide safe, reliable automobiles. Volvo Cars’ history stretches back to its former parent company’s founding in 1927, in Sweden’s second city, Gothenburg. Volvo Cars was, at one time, part of what is now the Volvo Group. With Assar Gabrielsson as Managing Director and Gustaf Larson as Technical Manager, the firm set out to establish a reputation for building reliable and safe cars. Mass-produced cars were making waves in Europe, leading to the novelty factor around the invention to fade, replaced by increasing concerns about safety. “Cars are driven by people”, Gabrielsson and Larson noted in 1927. “The guiding principal behind everything we make at Volvo, therefore, is safety.” This approach to safety has been a key feature of Volvo’s cars ever since. For much of the rest of the 20th century, Volvo was on an upward trajectory. Out rolled new models, in came new funding, profits and investment. Volvo became a staple of the international car industry, with its name commanding respect throughout the world of automobile manufacturing. In particular, its safety standards were recognised as world-leading, “standout features of the company”, according to Autocar. The firm pioneered the use of “crumple zones, rear-facing child seats, collapsible steering columns, side collision protection, and the three-way catalytic converter”, the magazine added. Ford itself was struggling with its own poor profits, as part of the general decline of the US car industry. While US manufacturing of cars had been in steadily decline since the 1970s due to automation and foreign competition from Germany and Asia, the 2000s dealt a new, unforeseen blow. In that decade, the price of petrol skyrocketed. Propelled by increased demand from China and other emerging markets, alongside with supply chokes in the Middle East, the price of oil rose beyond all expectations. And with this came painful price rises at the pumps for US consumers. The result was that US car manufacturers, whose designs are mockingly labelled ‘gas guzzlers’ for the amount of petrol they burn through, became an unattractive prospect for consumers. Ford took a deep hit to its sales and profits. This was further exacerbated by the 2008 financial crisis. By the end of the 2000s, 10 years after acquiring Volvo Cars, Ford was looking to sell. While US car manufacturing was taking a beating, the same decade went extremely well for rivals on the other side of the world. Founded in 1986, the Chinese firm Zhejiang Geely Holding Group started as a refrigerator manufacturer. In the 90s, it started to produce motorcycles, until, following government approval, it pivoted to car production. Taking its first steps into the international car production market in 2005, the firm had a stand at both the 2005 Frankfurt Motor Show the 2006 Detroit Auto Show. During this foray into the western car market, the ambitious young manufacturer spotted an opportunity. In 2008, it approached Ford offering to purchase Volvo Cars. By 2010, the sale was complete. Under its new leadership, Volvo Cars hopes to become the dynamic firm it once was; to shift from resting mode to full speed again. To achieve this, it needs to revive its illustrious and respected history, and once again become not just a car giant, but a manufacturing and technology pioneer. 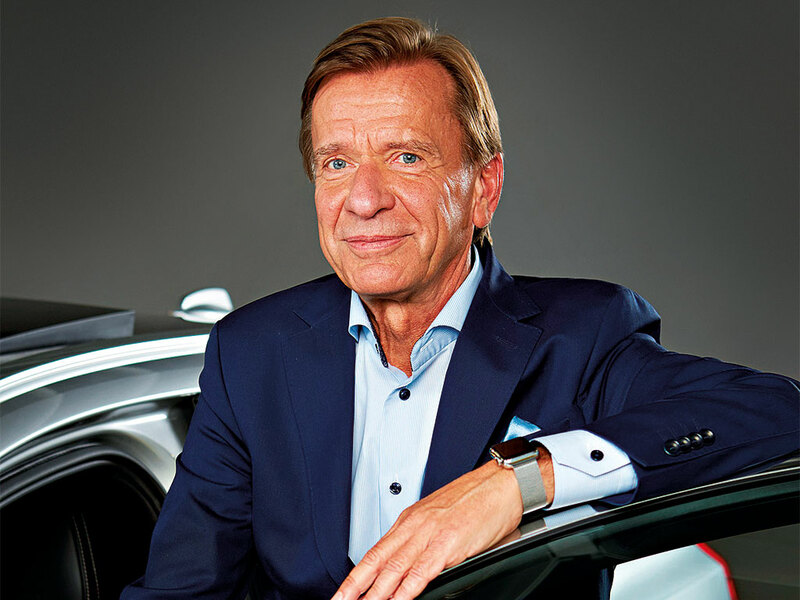 To lead this Volvo Cars revival, Geely has recruited a trusted pair of hands: Swedish industry veteran Håkan Samuelsson. Samuelsson has a long history in the car industry, and a fitting educational background. A native of Sweden, he obtained a master’s degree in mechanical engineering from the Royal Institute of Technology in Stockholm in 1972. Five years later, he joined Scania, a Swedish producer of trucks, buses, cars and aeroplanes. Putting his degree in mechanical engineering to use, Samuelsson specialised in brake system design. However, after a few years in the role, he moved to the business side of the company. By the 80s, Samuelsson had held various management positions at Scania, becoming Director of subsidiary Powertrain in 1988. Five years later, he was promoted to the role of Technical Director for Latin America at Scania. In 1996, after three years in that role and nearly 20 years working for Scania, Samuelsson was appointed Chairman, with responsibilities focusing on development and production. In 2000, he departed Scania after two decades of service. Between 2000 and 2005, he served as Chairman and CEO of German truck manufacturer MAN. Finally, in 2012, he assumed the role of CEO and President of Volvo Cars, just two years into the firm’s new ownership under Geely. Under Samuelsson, Volvo Cars is making major strides in developing new products. Self-driving cars are now the subject of constant speculation. However, the main developers of these autonomous cars are technology firms previously unconnected to the automobile business, with Google, Tesla and Uber leading the way. The assumption is autonomous cars will be rolled out as part of the taxi business. Ride-hailing apps will be the primary means by which to access self-driving cars, rather than traditional ownership. Partly, this reflects the thinking of the developers, often themselves in geographical and age demographics unlikely to own cars. However, even firms such as Ford have attempted to enter the autonomous cars market through the taxi business. This approach, however, is not being replicated by Volvo Cars. The firm, under the direction of Samuelsson, is covering both sides of the autonomous car business: while it is working with technology firms to provide self-driving cars for ride-hailing apps, it is also attempting ensure the firm produces its own autonomous car for direct sale to consumers. Volvo Cars plans to offer consumers a self-driving car by 2021. In total, the technology is expected to set each customer back $10,000 extra per car. As Bloomberg Technology explained, it will be “an optional feature that will let occupants completely disengage from driving”. Luxury aside, though, for Volvo Cars autonomous vehicles are all about safety. Car safety technology was once about mitigating the impact of human faults: air bags, crumple zones and the like were intended to soften the blow of human error. Autonomous cars hope to eliminate the very possibility of human error. And this safety aspect is what attracts Volvo Cars to the idea. The principles laid down by the founders of Volvo in 1927 may now need updating; soon Gabrielsson and Larson’s statement in 1927 that “cars are driven by people” may be out-dated. But, the second part of their claim – “the guiding principal behind everything we make at Volvo is safety” – remains.